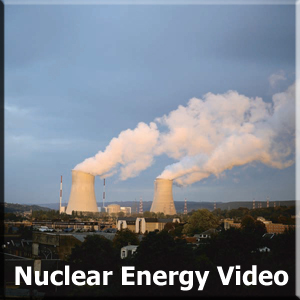 This OECD iLibrary Theme subscription includes the online access to all books and periodicals published by the OECD Nuclear Energy Agency. It includes access to the twice-yearly Nuclear Law Bulletin, the annual Nuclear Energy Data, the biannual Uranium Resources Production and Demand, as well as the NEA's many analytical reports, conference proceedings, and other reports not published in print form. Usually there are about 45 items per year. The subscription includes online access to all titles published by OECD since 1998 and all online-only publications from 2003 onwards. - Today, with an installed capacity of around 370 GWe and an annual production of some 2,700 TWh, nuclear power supplies 16% of the world's electricity. - Total electricity generation and nuclear-generated electricity declined between 2010 and 2011 in the OECD area by 0.9% and 6.4% respectively. The share of electricity production from nuclear power plants in the OECD area also decreased from 21.9% in 2010 to 20.7% in 2011. - At the close of 2011, 329 reactors were connected to the grid in the OECD area (not including three reactors under refurbishment in Canada). A total of 18 reactors were under construction (six in the OECD American region, four in OECD Europe and eight in the OECD Pacific region, although the construction of reactors in Japan has at least been temporarily halted). In addition, 28 reactors were considered firmly committed to construction.